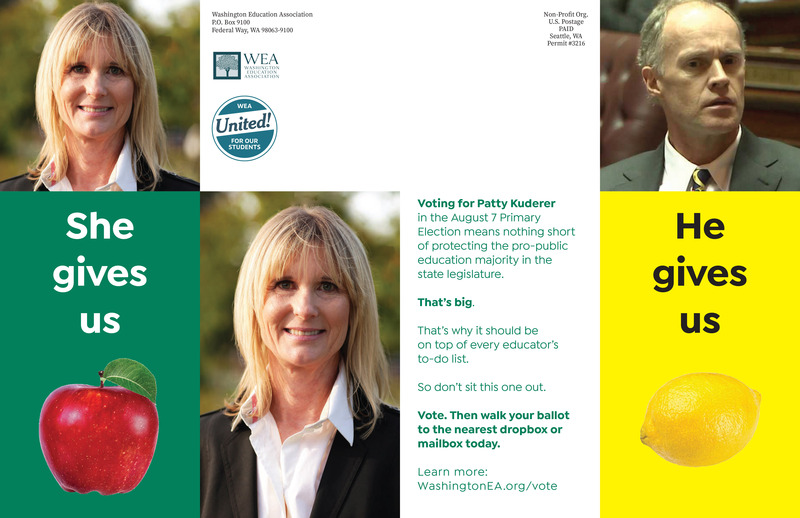 WEA-PAC members endorse Democrat Patty Kuderer for re-election to the Washington Senate in Legislative District 48. LD 48 covers areas of Redmond, Bellevue (including West Lake Sammamish), and Kirkland, and it encompasses Clyde Hill, Yarrow Point, Hunts Point, and Medina. Patty grew up in Minnesota, and earned a law degree from William Mitchell College of Law. She moved to the Eastside nearly 20 years where she raised her two children. Patty was a long-time volunteer for the Chinook Middle School PTSA including Co-President from 2003-2006. She won the “Golden Acorn” award for her volunteer service in 2006. She is a current board member of the Anti-Defamation League Seattle and serves on its Civil Rights Committee. Patty has over 30 years’ experience as an attorney in municipal and private practice. Her current practice focuses on employment discrimination, sexual harassment in particular, and helping people injured by texting, drunk, or other negligent drivers. She is an advocate for open government, becoming well-versed in public records laws when working as a city attorney, an area she also continues to practice in today. Senator Patty Kuderer with WEA Vice President Stephen Miller and WEA - Sammamish Council President, Michele Miller. I believe wholeheartedly in a strong public educational system. It is one of the best investments a government can make in its people. It is also foundational to our democracy. That is why I will continue to be a vocal advocate for our public education system here in Washington. But we can't have a strong public educational system without excellent teachers. It is long past time to stop blaming teachers and start thanking them for the important role they play in our students' lives. And we can start by treating them like the professionals they are. 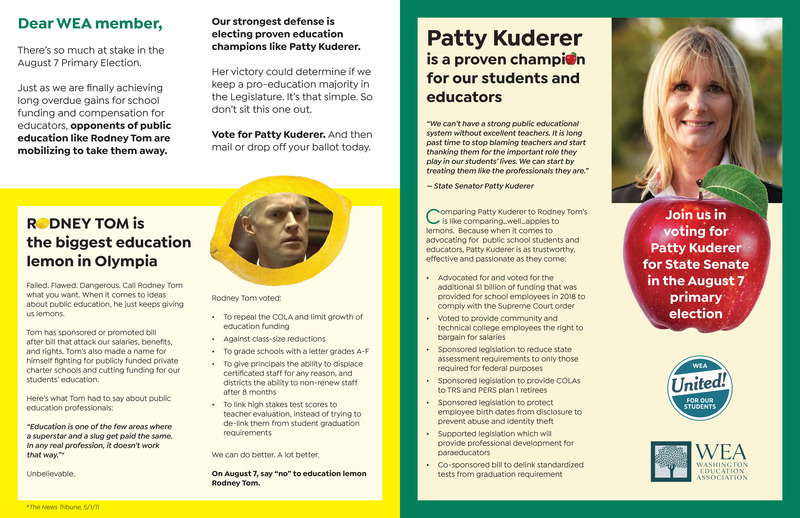 See the mailer we sent WEA Members in LD 48.